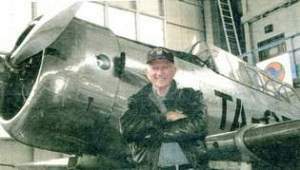 The Canton Repository published an biographical article about Ernie Stadevc, titled ‘WWII: Then and Now: Ernest “Ernie” Stadvec wanted to be a pilot’. Article written by Gary Brown Editor at large Nov. 2 2013. Read the article at the CantonRep.com web site.